Campers will spend a week here at The Edge Christian Camp in Spring Grove, VA, learning to use their talents for the Lord. This will be an action-packed week of instruction and rehearsal with plenty of fun and games along the way. The finale will be a full-blown camp production! Anyone in grades 7-12. This includes those going into 7th grade as of September 2019 as well as 2019 high-school graduates. The cost for camp is $275. This includes all meals and activities, plus any materials provided throughout the week. Bible, paper, pen, sleeping bag, (bed linens) pillow, warm sweater or jacket, toiletries, sports clothes for activities, and a large bag for dirty clothes. Please DO NOT bring any cell phones, media players, computers, video games, explosives, guns, knives, tobacco, drugs, alcohol, or apparel with worldly advertising. *If cell phones are brought they will be kept by the camp leadership and used only in the case of emergency. 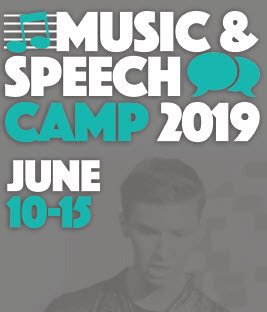 Why Music & Speech Camp? 1- Campers will learn valuable skills and receive hands-on training in the key aspects of musical and theatrical productions, including: sight-reading, choral singing, vocal technique, acting, costuming, stage makeup, lighting, and set design. This is accomplished through our rigorous rehearsal schedule and helpful workshops. Campers will learn first-hand what it takes to create a high-quality production while also developing a sound biblical philosophy of music and drama. 2- Campers will learn from a dedicated and highly qualified staff made up of members of the Keep Your Heart team along with many other experienced volunteers and music and drama veterans. 3- Campers will get to be a part of an exciting original production featuring brand new music and a script written especially for them! 4- Campers receive the greatest value of any music or drama camp in the nation!